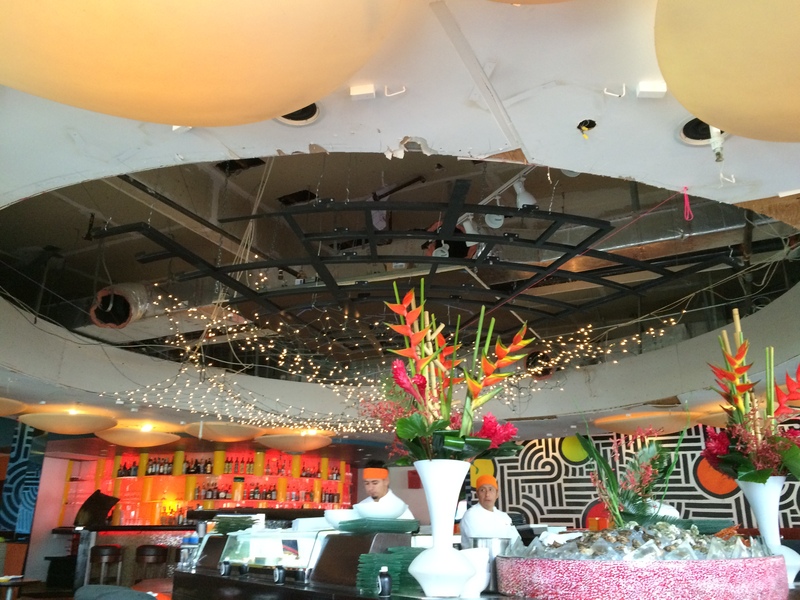 SUSHI SAMBA Miami Beach is the “see-and-be-seen” restaurant on Lincoln Road’s famous promenade of shops and cafes. 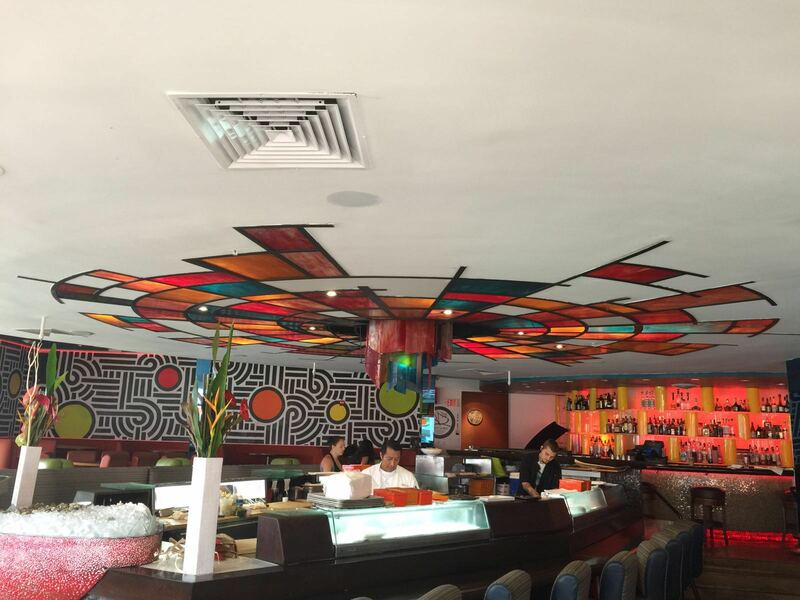 The restaurant is a favorite amongst locals and tourists who come for the unique blend of blend of Japanese, Brazilian and Peruvian cuisine. 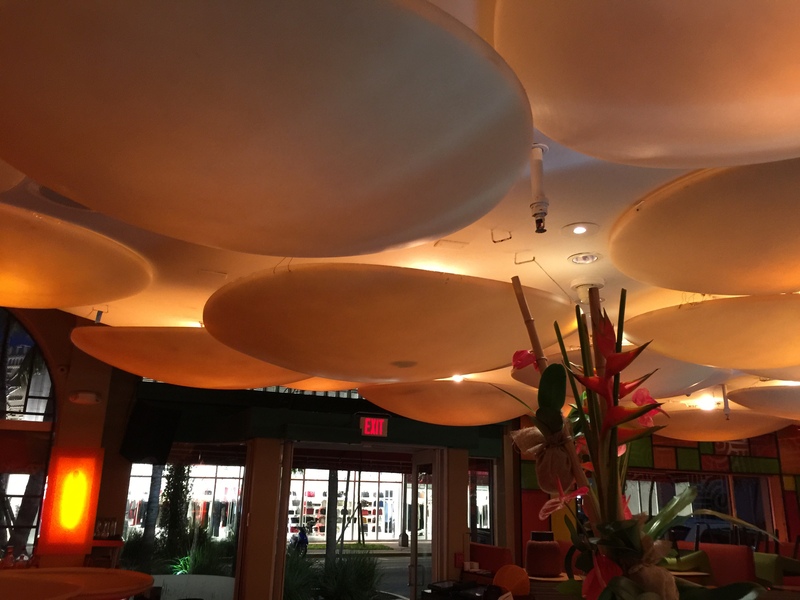 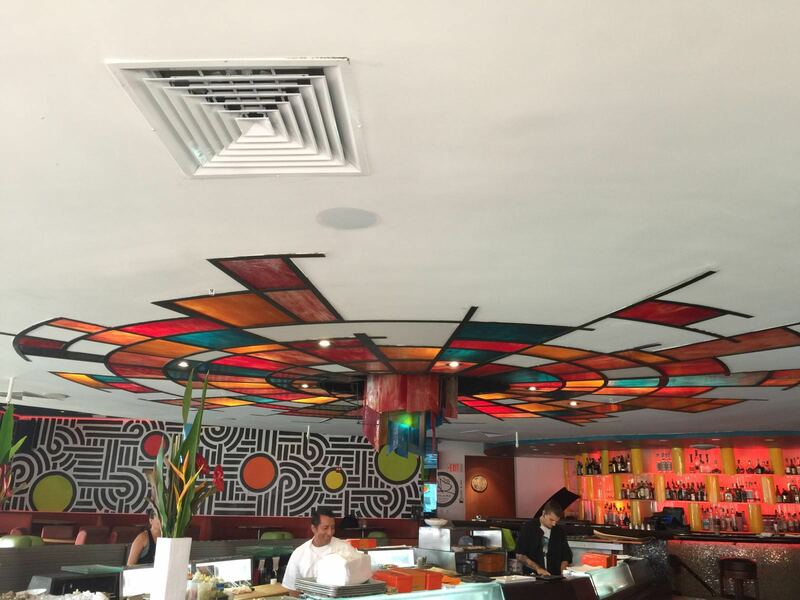 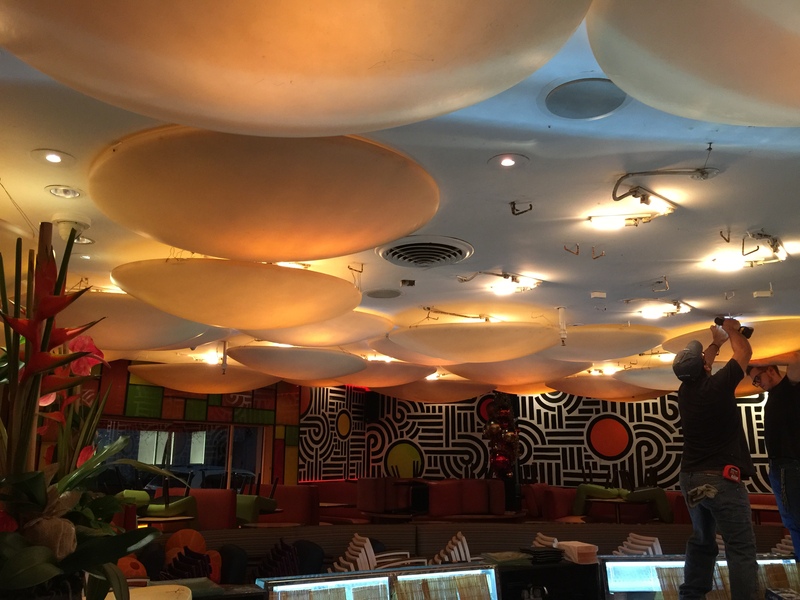 To represent the diverse and vibrant culture of Miami, SUSHI SAMBA acquired an exclusive art glass sculpture from Savoy Studios, a global leader in glass design and fabrication. 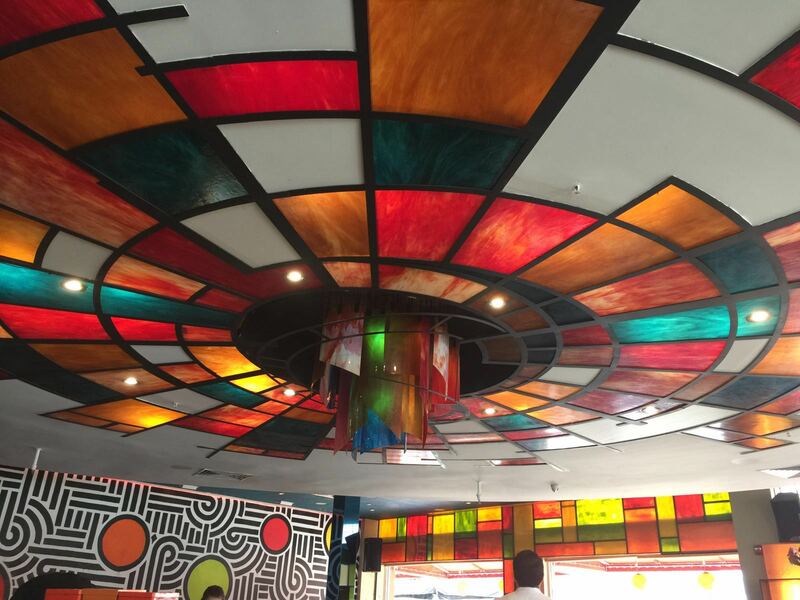 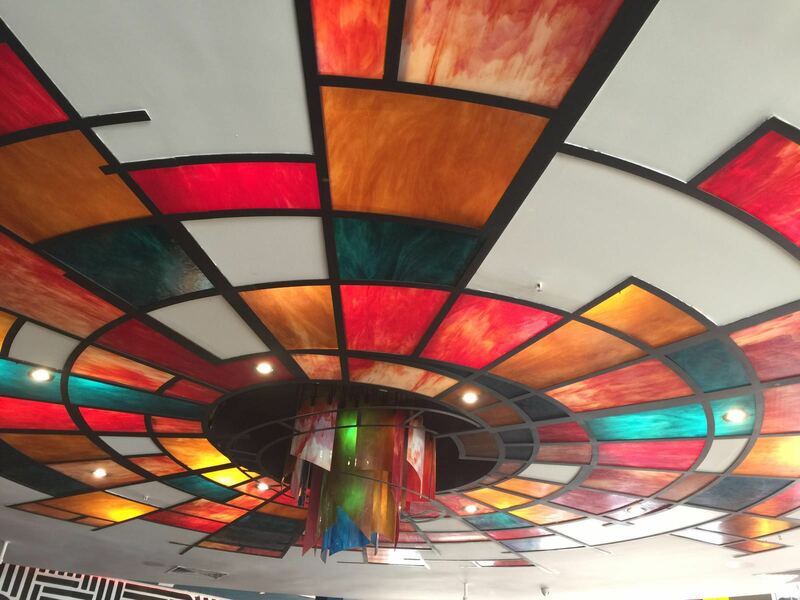 VPG was entrusted to install the intricate art glass which is now the focal point of the restaurant’s interior. 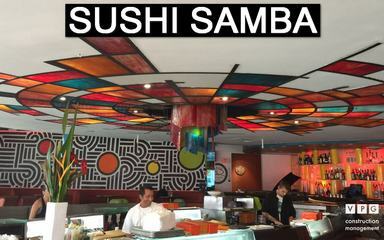 Set directly above the skilled sushi chefs, the art glass is the first thing guests notice when they enter the restaurant. 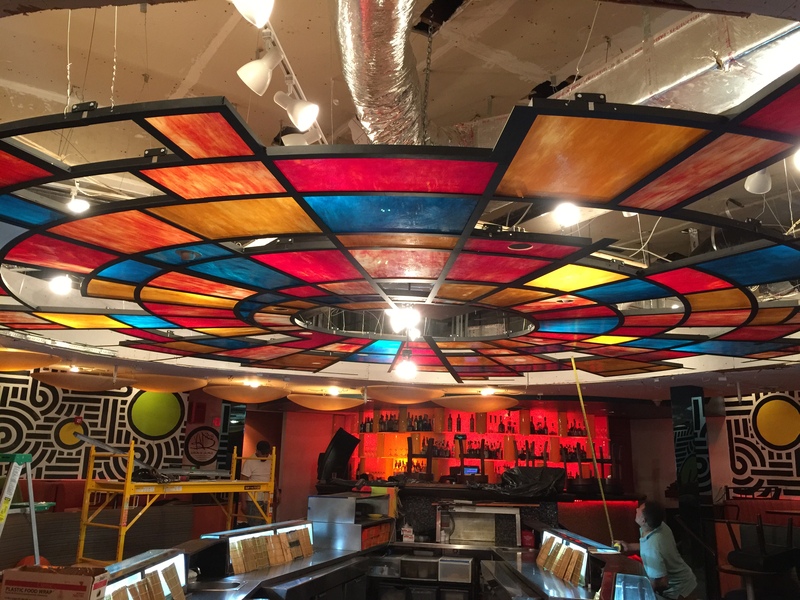 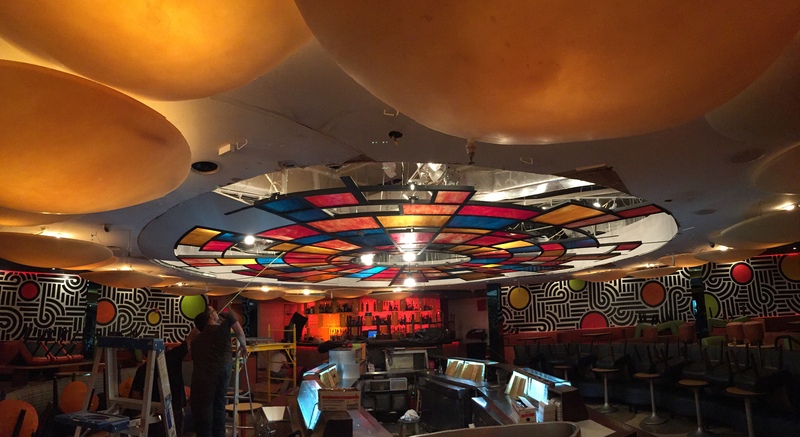 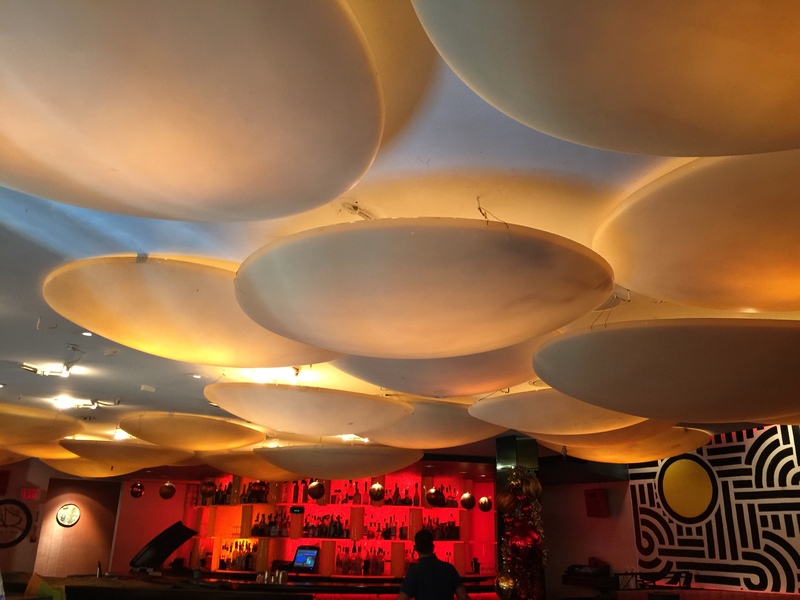 The project required us to remodel the ceiling and reinforce the structure to support the work of art which weighs 1,600 lbs. 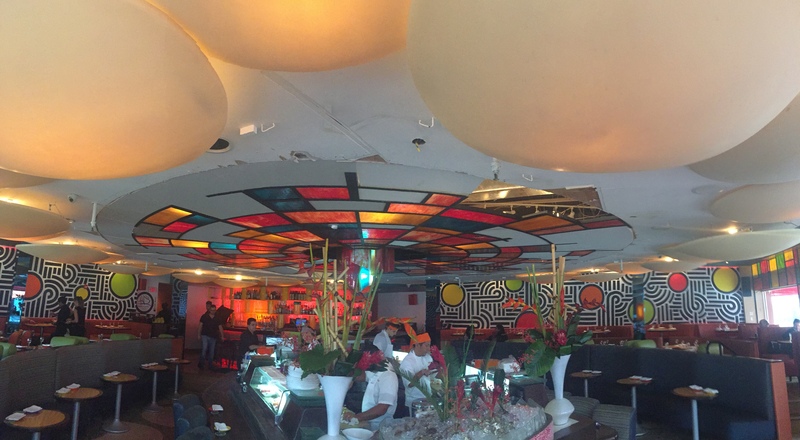 All work was performed without impacting the business and after hours with our crew starting after midnight or as late as 2 a.m.
We hope you will stop into SUSHI SAMBA and try out their sushi (our favorite is the SAMBA DROMO roll). 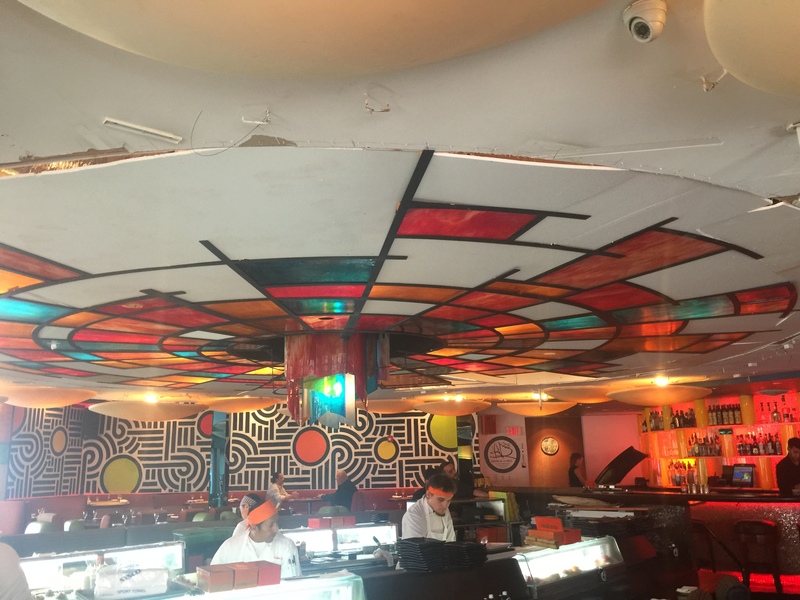 If you ask us, the best seat in the house is at the sushi bar, right under the amazing Savoy art glass.